We all know someone like this! 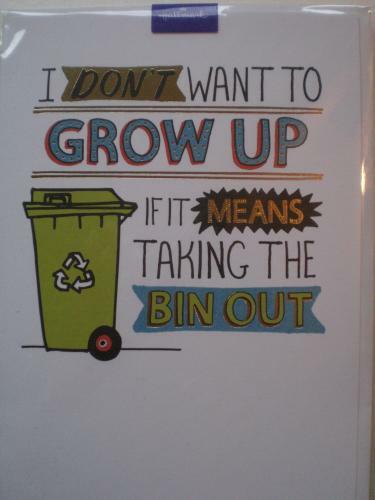 "I don't want to grow up if it means taking the bins out!" Blank inside for your own message.